When Martin Etchart won the 2013 IPPY Gold (Independent Publisher Book Award) in Multicultural Fiction for The Last Shepherd, I was intrigued to learn it was a sequel to a middle grade novel titled The Good Oak. 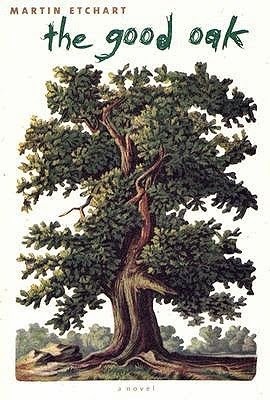 My curiosity paid off, because The Good Oak turns out to be a moving tale about an outsider who copes with loss and discovers new meanings in the same tradition as Counting by 7's or Mockingbird. Matt Echbar is a cultural outsider who tries to hide his Basque American roots from his suburban friends. One day his Old World Basque grandfather shows up at school and makes Matt’s differences obvious to his all-American classmates. Then Matt’s world is turned upside down when his shepherd uncle dies after the sale of his flock. The grandfather dragoons Matt into stealing the sheep back, and they go on one last drive to a secret camp high in the Arizona mountains. What ensues is a heartfelt, humorous, and transformative adventure, where Matt comes to terms with the loss of family members and in the process gains an understanding of the culture that they held so dearly. Embarrassment is replaced by appreciation, both for his relatives and for his heritage. Dealing with bereavement is never easy and, perhaps for that reason, books about death and loss make for some of the most profound children’s literature. Many middle grade readers have lost a relative or someone older they know and, in reading The Good Oak, they will relate to the confusion and emotions that Matt goes through. His journey not only explores the rugged countryside and a unique language and tradition, but also a deeper understanding of the world and of life. Sounds like a fascinating book—and one that focuses on a culture that has rarely been written about in fiction. Interesting that the main character and author have similar names . . .